Once an application is approved, advances start as early as November 1 of each year, with the first $100,000 interest free. There is no restrictions on how the funds can be used, as long as you feel they are appropriate for your operation. 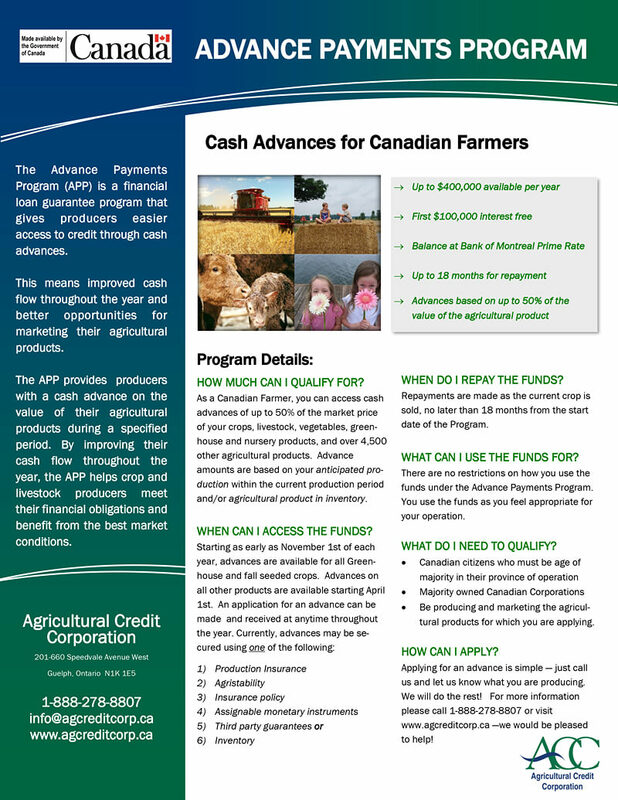 Repayments are made as the current crop is sold, no later than 18 months from the start date of the program.